Good evening everyone! It is the dread Monday and the start to a new week. 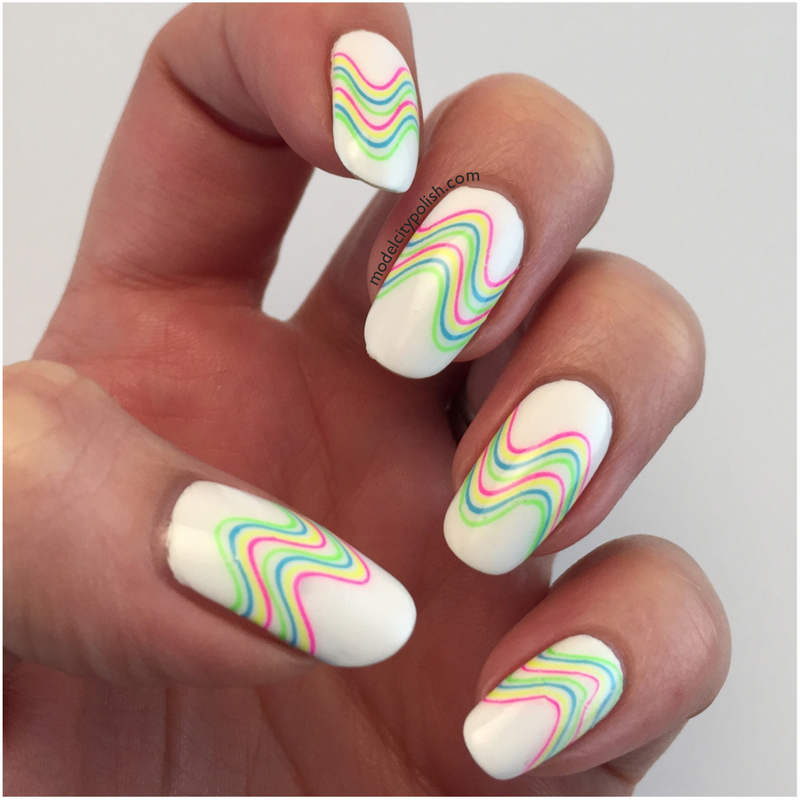 To keep spirits up, I rocked some fun neon waves today. 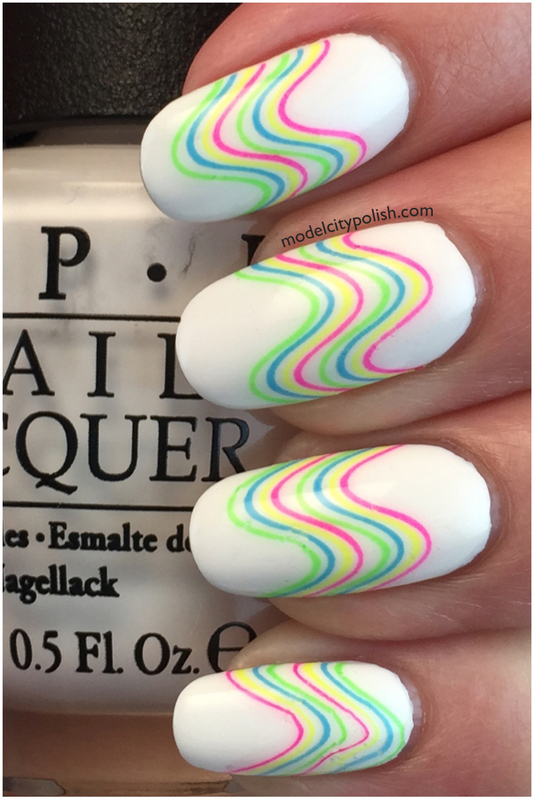 Long time readers already know I am a lover of the water slide decals from Born Pretty, but if you are new, you are in for a treat. 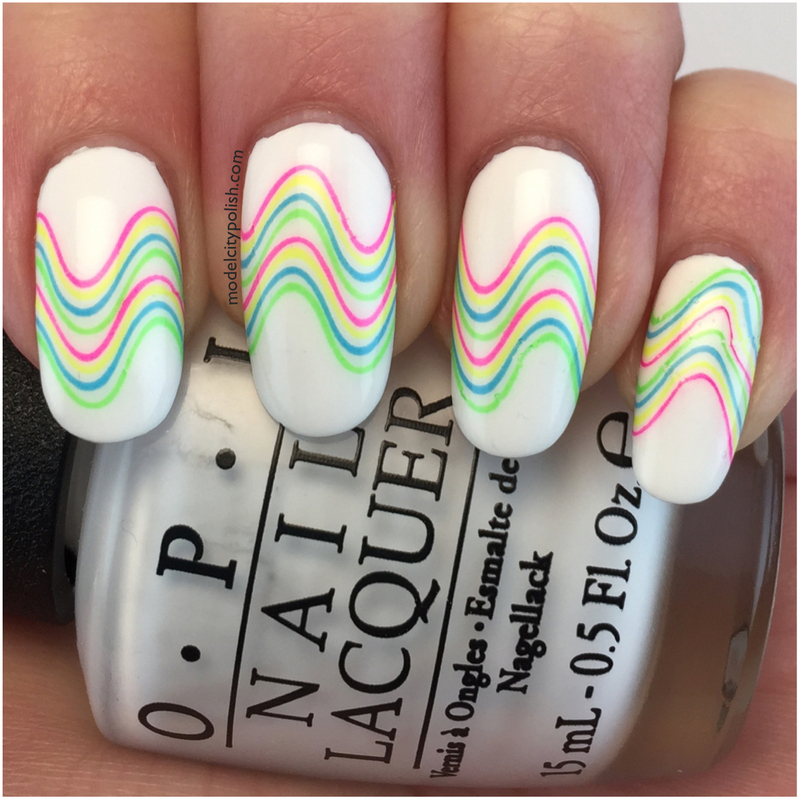 For today’s perky mani I used OPI Alpine Snow for a bright white base and then applied Born Pretty Neon Wave water slide decals to create a bright, fun mani. I sealed everything with a coat of Glisten & Glow HK Girl Fast Dry Top Coat. The decals were sent to me for review but that does not influence my opinion. 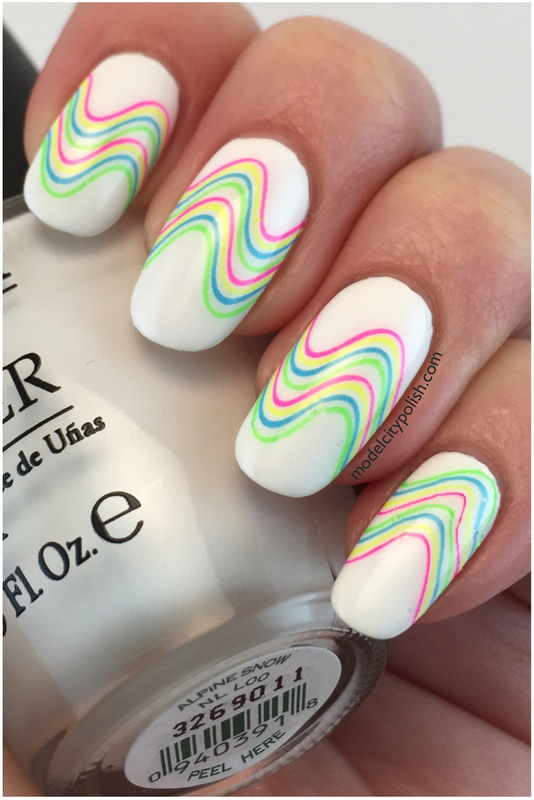 This is such a fun & trippy manicure!